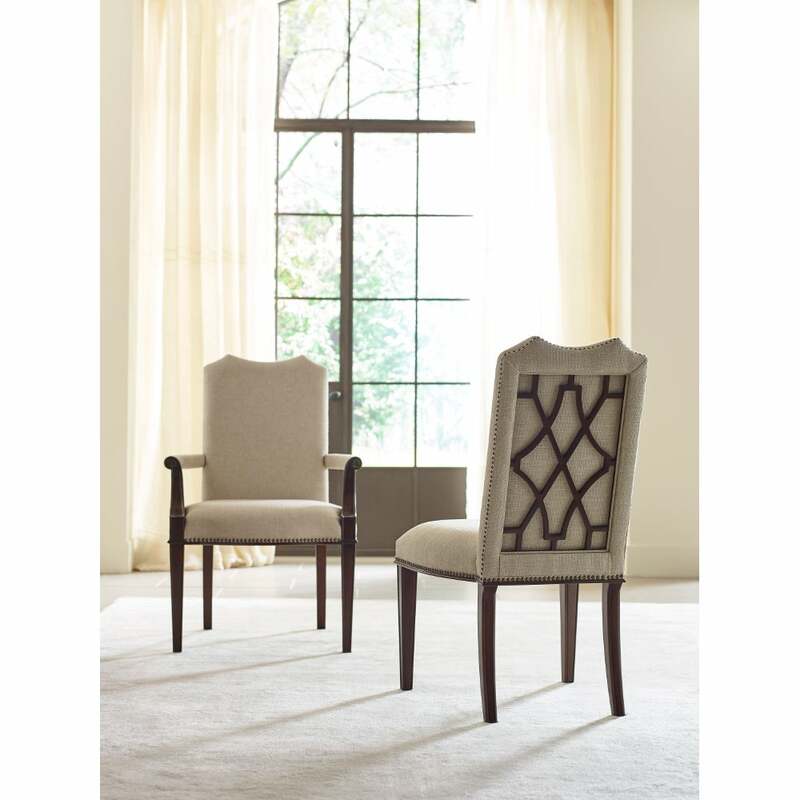 The Hadleigh Collection features two distinctive dining chair designs. 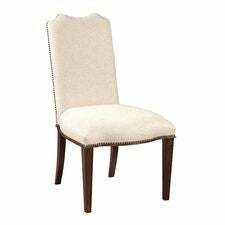 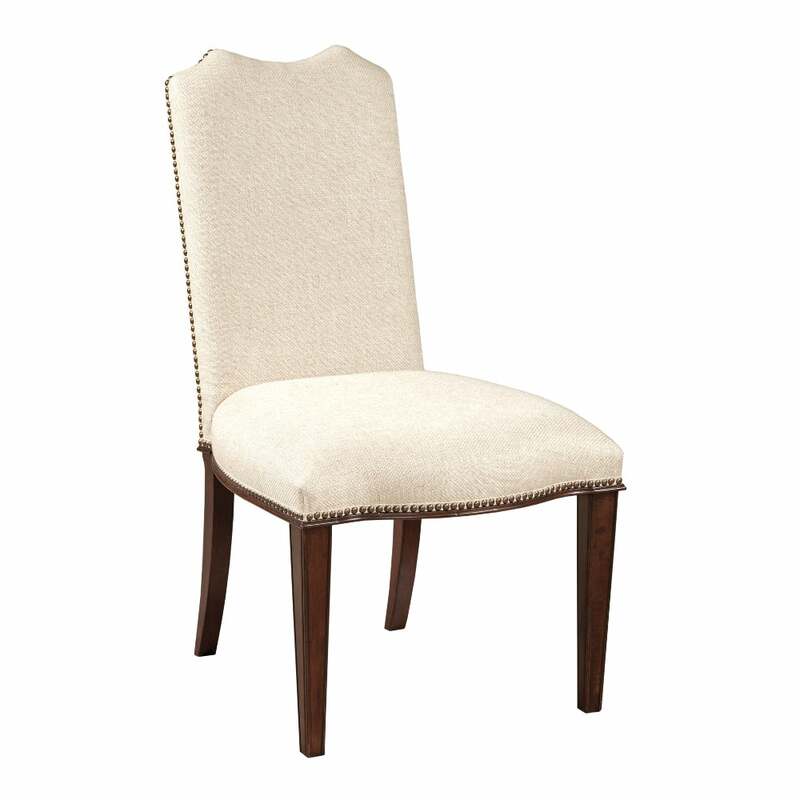 The Upholstered Side Chair shown here offers a terrific blend of comfort and elegant styling. While the silhouette is more clean and uncluttered than most traditional dining chair designs, it maintains several details that add personality to the dining room. And since the first impression of a dining room is often focused on the back of the chair, this chair is perfect due to its wood fretwork and nail-head trim. 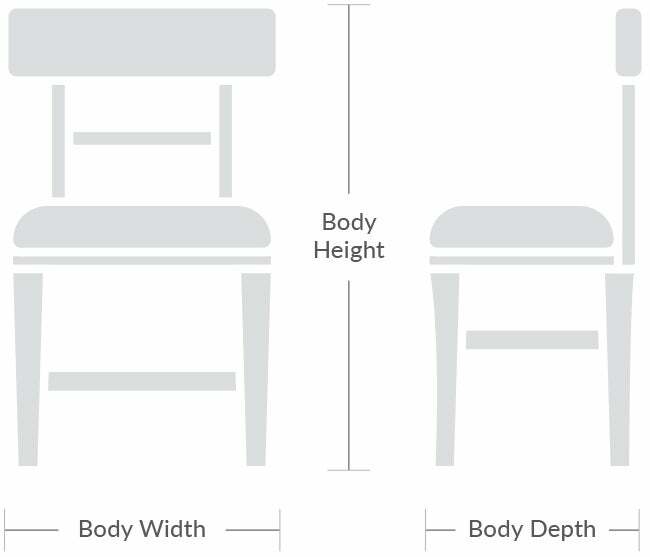 Other design cues include a bead along the chair leg, and a shaped seat.